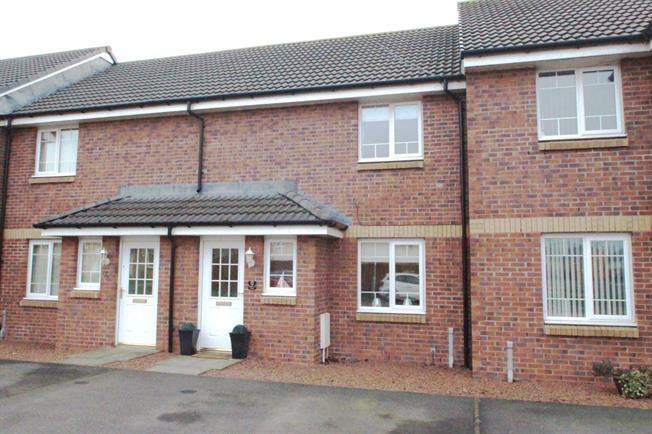 2 Bedroom Terraced House For Sale in Kilmarnock for Offers Over £100,000. Modern built mid terraced villa presented in excellent condition and positioned within a popular development by the well regarded Persimmon Homes. The property has been immaculately maintained by the current owner and boasts fantastic accommodation including a useful utility, fully enclosed neatly appointed garden and driveway parking to the front. Viewing reveals welcoming entrance hallway, spacious lounge in turn leading through to the fabulous modern kitchen with built in appliances, storage cupboard and ample space to accommodate family dining. The utility is to the rear with W.C off and access to the south facing rear garden. Upstairs are two spacious double bedrooms both benefitting from built in wardrobes with the master having a large walk in wardrobe/dresser. Completing the accommodation is the family bathroom complete with three piece suite including shower over the bath. 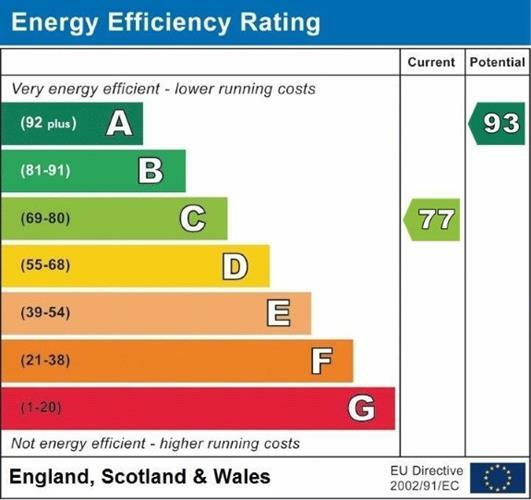 Further benefits include gas central heating via a modern combi boiler and full UPVC double glazing.